Islington is a great place; just take a look at all the people who want to buy here. Living in Islington has a lot of perks, from the Fields to the Islington High Street. Starting as a small village, the area has grown in size and in importance and carries on doing so. The Angel, Islington will be known to anyone who’s played Monopoly, those with a good memory will know that the board game had Angel as a cheap property, the 3rd cheapest in the game. Today that wouldn’t be the case as everyone from bankers to celebrities and politicians reside here. 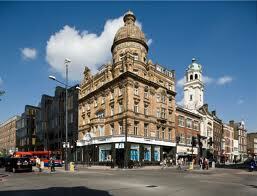 There are many attractions that make visiting or living in Islington an engaging experience. There’s the Islington Museum which takes you on a journey through all the local history, covering everything from politics to ethics. The Canal Museum isn’t without its merits either. A personal favourite of ours is the Farmer’s Market. The market takes place on a Sunday at the William Tyndale School playground. For fresh food that comes straight from farmers and keen growers you can’t get better than the weekly market for mouth watering meats, vegetables, fruits, sauces, cheeses and lots more. Our dishes have gotten better from the relationships we’ve built while visiting the market on Sundays. If you like a bit of theatre then the Almedia is the place to be right now. The shows are always well worth their entry fee. The cost of Spitting Pig catering is well worth it too, and like the Almedia we’re reputed for putting on theatrical shows that don’t have an equal, the only difference is that our shows are culinary based, but rest assured they’re just as enthralling, if you’re a fan of food then more so! Hog roast Islington is cooking drama at its best. The reason that hog roasting, spit roasting particularly, has been so popular over the ages was because the visual element accentuated the pomp of an event. A pig roasted whole, or any other meat roasted on a spit, lets people know that they’re at a big event and that a lot of effort has gone into it. Hog roasts are only really had on special occasions and the association of a succulent whole roasted pig with your event only means good things. 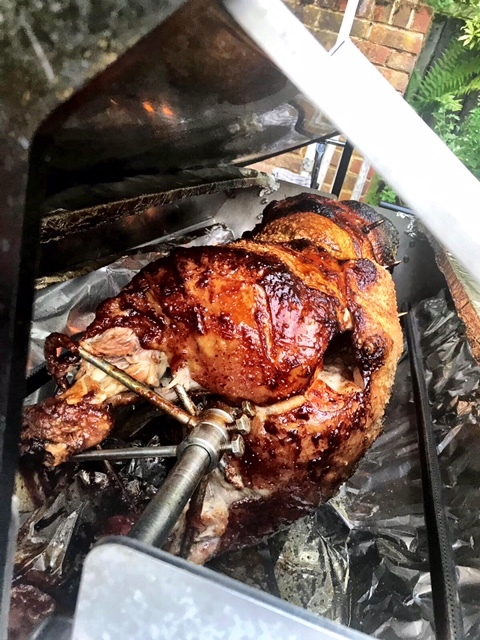 Clients in Islington are always telling us how glad they are to have booked a hog roast from Spitting Pig, and they tell us that even before the chefs have served the meal because roast pigs at a party, corporate function or wedding win praise from the moment guests arrive at the venue, they see the spit roast and are impressed from the start. 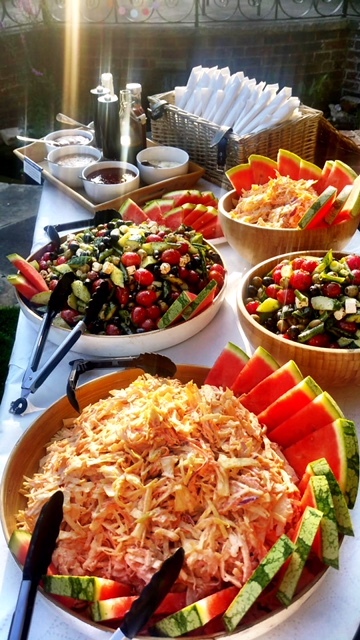 That’s the first thing we do better than other caterers, something they can’t do when they’re cooking in a kitchen, but it’s game over for them when we serve the food because ours tastes so much more vividly delectable than anything else. Cooking the whole pig on a spit, the pork when its finished hour after being started is uber mouth watering, the crackling too has a wicked crunch to it. There are over 20 menus on offer and so it’s very easy to find something along the lines of what you’ve been daydreaming about. There are four categories to choose from. Once you’ve selected your event type on the menu page you’ll be presented with a mixed bag of different menus. If you can’t find a menu that has your mouth watering then we’ll eat our proverbial hat, because there is such a diverse choice with Spitting Pig that it’s all but impossible to not see something that you have to have at your event. A select few do manage the unusual feat, and if you’re amongst them then get on the phone to us, because we’ll create an entirely unique, never before seen menu just for you and your guests. You can also use hog roast hire Islington to fill your roast pig hunger. You’ll miss our professional waiting team and amazing service, but you’ll have the tool in your hands to create a hog roast as good as any before. We recently hired out one of our machines to a lady throwing an 18th birthday party for her daughter and she had decided that she would like to try the role of head chef. We dropped the machine off around midday and gave a demonstration of how to use the machine and left her to test her culinary skills for the night. We arrived in the morning to pick up the machine and were met by a joyous lady who was extremely happy with her performance as a hog roast Islington chef. To help you further, you can buy a pig when you use hog roast hire Islington. If you haven’t hog roasted before that’s not a worry because we’ll show you how it’s done when we deliver, leaving you with the knowledge to get cracking with your hog roast hire Islington right away.